Meet BearScots, the Bears of Scotland! If you’ve never been to Scotland, this fall may be the time to go, as BearScots promise plenty of indulgence (and maybe hangovers!) with their annual BearScotFest 2013, in Edinburgh from October 18 through the 20th. The weekend will include many hot and hairy parties, tours, brunches, and the famous Mr. BearScots 2014 Contest. And (drumroll please…), there WILL be men in kilts! After speaking with the the BearScots President, I’m ready to buy my plane ticket. After reading this, you may want to join me! JR: Hi Graham! Thanks for speaking with me. So, it looks like the Bear Scots have established themselves as a very visible presence in Scotland’s Bear scene. How was the group founded? GM: BearScots was founded by a few like minded souls just over 12 years ago, and started its life of as a wee social gathering in Edinburgh. The monthly gatherings attracted Bears from around Scotland and very soon regular meetings for the Bears happened. Within a year the group set up BearScotFest for a big party in October. This annual event has gone from strength to strength and is now one of the biggest social Bear gatherings in the UK. JR: Sounds GRRR-eat! So, what are some of the fun events you have going on throughout the year? 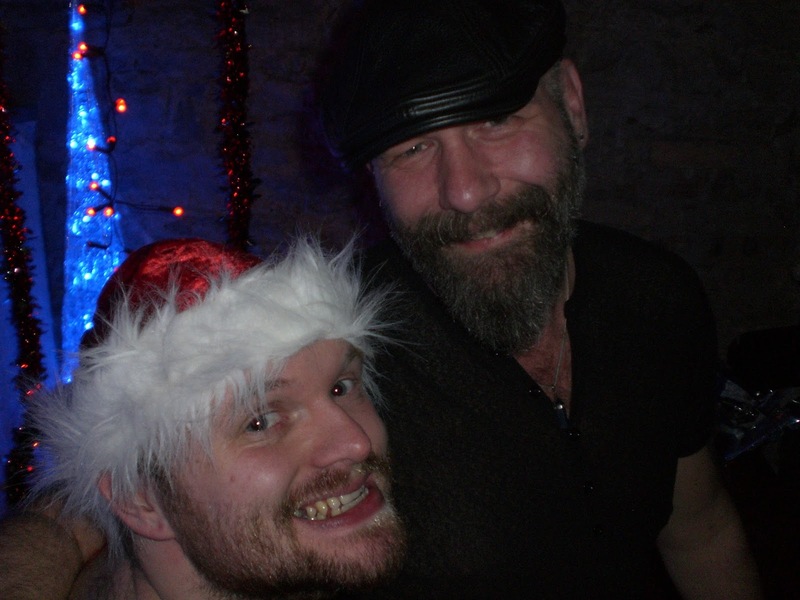 GM: The group currently runs monthly events in Scotland’s two major cities with Bears in the West in Glasgow, and Bears in the East in Edinburgh. These are informal pub nights for guys to meet and chat. We are always on hand to join in the banter and hand out sweeties or candy to the punters. 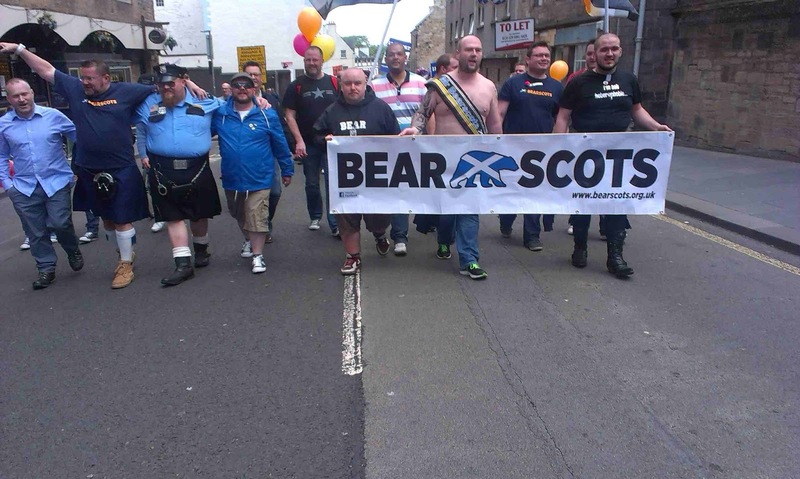 BearScots take an active role in Pride with Bears marching behind the banner and some fun pre-pride party activities. 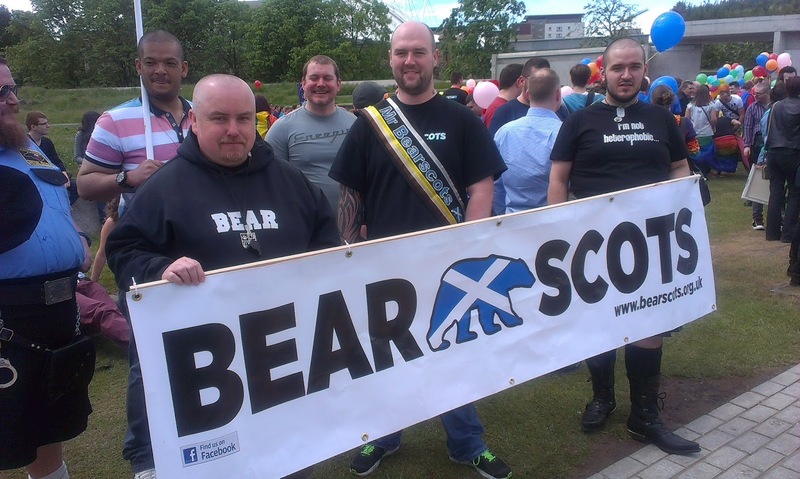 This year we were joined by the lovely Mr. BearScots, Jason Green for our march in Edinburgh. In October we have over 600 Bears, Cubs, Chubs, and their admirers descend on the beautiful historic city of Edinburgh for BearScotFest. It is a popular and friendly event which people love to come back to. It includes club nights, tours of the city, brunches and the highlight of the weekend is Bears at the Caves which happen in the depths of the city in an atmospheric old vaulted space. 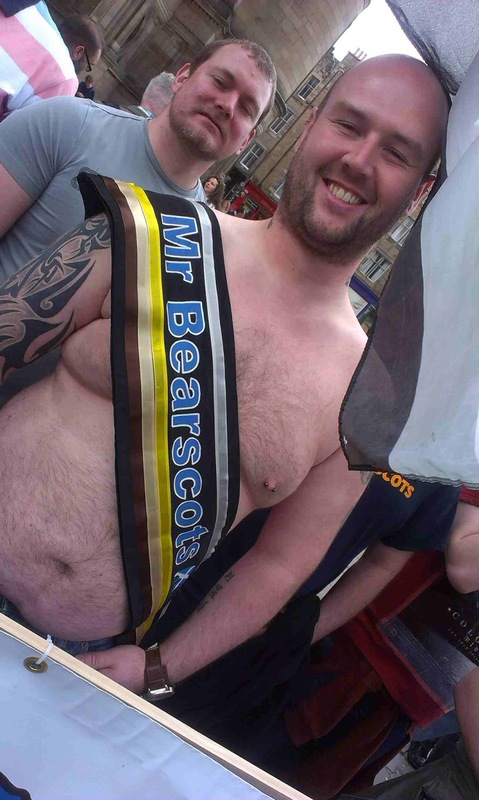 Our weekend has the Mr. BearScots competition with many hopeful guys appear on stage in hope of winning the title. Jason, who won this year, has relished the role with marching for Pride, promoting the group and making a very popular Santa at our Christmas parties. It is hard to resist sitting on his knee! JR: I agree. I’ve seen pictures of him! So, there are a lot of Bear Clubs out there. What makes The Bear Scots unique? 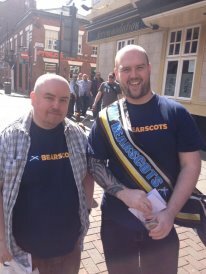 GM: BearScots is unique in that it that it is a Scottish group and not just based in one city or event. We are continually looking to expand what we can offer and try of offer events out with Edinburgh and Glasgow. We work closely with other events and organisations in Scotland and further a field. BearScots are proud to have a close association with Gay Men’s Health – www.gmh.org.uk . GMH are a Scottish based charity who work with gay and bisexual promoting their health and well being and support men with HIV. Each year we fundraise for the group and are always amazed at the support people give. JR: I haven’t been to visit Scotland yet, but it’s on my list! What is the gay scene like in Scotland? I imagine life would be different in big cities like Edinburgh and Glasgow, versus the country. While we’re on the subject: What are some of the essential places to go or things to see when someone visits… especially our Bear brothers? GM: Scotland is a small country with its gay scene mainly based around the larger cities. The Bears and events are focused around Edinburgh and Glasgow. Glasgow is the biggest city in the country and has a lively gay scene with the Bears tending to hang out in the Underground Bar, Waterloo, and for late night drinks at Speakeasy. Edinburgh has a well established nightclub, CC Blooms which has a great chill out bar for day time drinking and late night opening for dancing. The Bears tend to hang out at the New Town Bar with its male-only downstairs bar which opens up at the weekend. For chilled out drinks you can head to the Regent for real ale and chilling or head to Nom de Plume for food and afternoon coffee. JR: Real ale, food, and afternoon coffee… I’m partial to all three! (Laughs) “CC Blooms”… Margaret Cho paid tribute to that bar in her show “Notorious C.H.O.”! Lastly, without giving too much away: What are some of the surprises that you have in store for us at Scots Bear Fest 2013? GM: This year will see the Bears splashing about as we have exclusive use of the beautiful Victorian baths of Glenogle. This event has already sold out, but we know that guys will have fun swimming and splashing about. JR: I always had a fondness for Bear soup! Thanks, Graham! You can find out more about BearScots and register for BearScotFest 2013 at www.bearscots.org.uk… and visit them on Facebook at www.facebook.com/bear.scots. Previous THE JINKX MYSTIQUE: America’s Next Drag Superstar Takes New York City by Monsoon in "The Vaudevillians"!